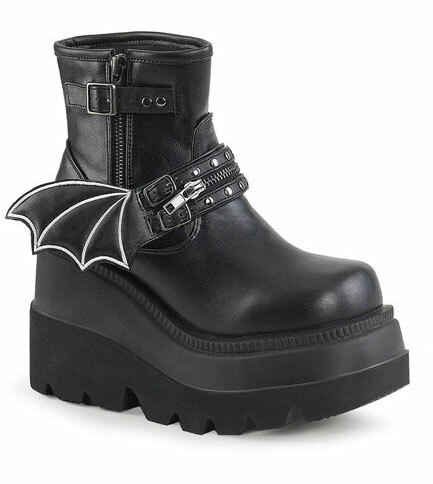 These super cute platform boots have a 4 1/2 inch stacked wedge platform and bat wing zippered straps. The side has an exposed zipper with a single buckle strap. 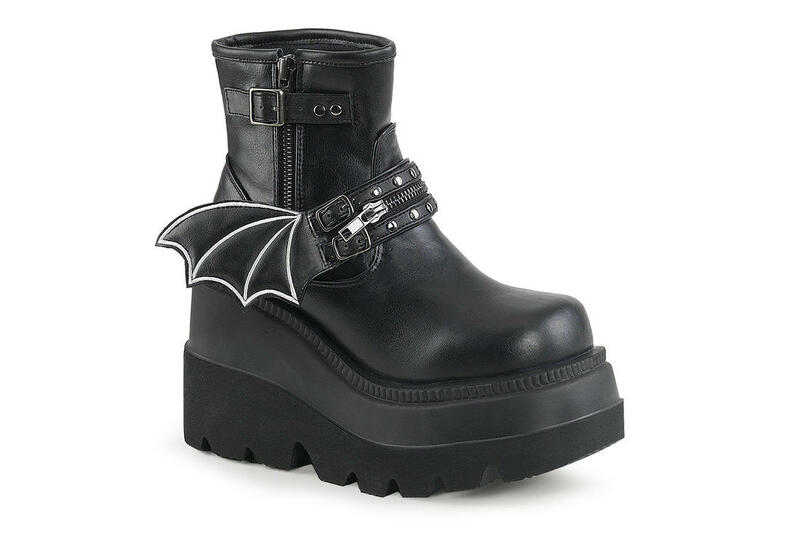 Awesome boots, fast shipping. What more could I want?